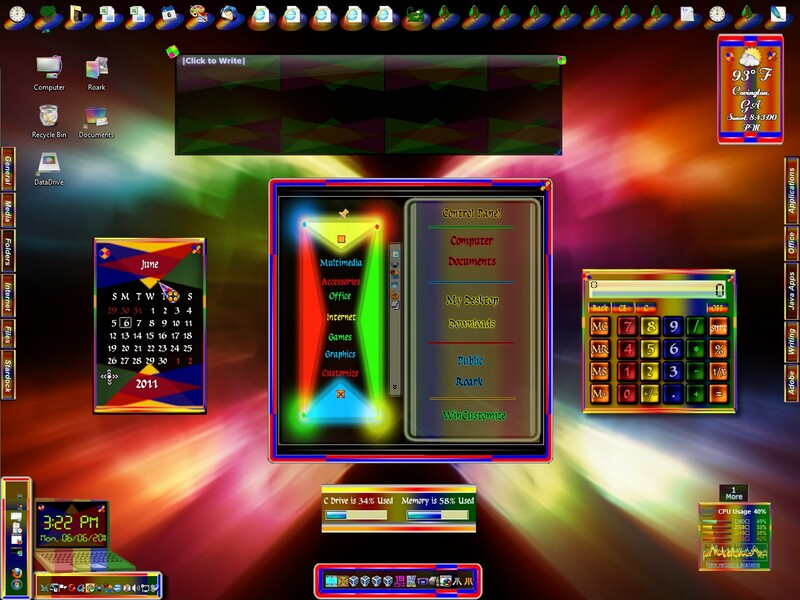 This is a DesktopX theme based on the Liu-iow WindowBlind. All it's Objects can be shrunk to icons including the main start panel! It supports a wide range of screen resolutions. Anywhere from 1024X768 to 1600X1500. I hope you find it useful and enjoy it. By the way, it was primarily designed for people that like to play with buttons. Fences is used to hide unwanted Icons. I'll have to have a look....hmmmm. This an outstanding Theme! Great originality! !